It took lot of time this month to go from all stocks listed in Market Summery Report. There are still 40 stocks more to analyze. Since analysis is taking so much time I wouldn't be able to complete analysis before 1st of May. So here is list of stocks that I thought were worth notice, I would go from rest 40 stocks as soon as I can and would try to upload video as soon as possible. 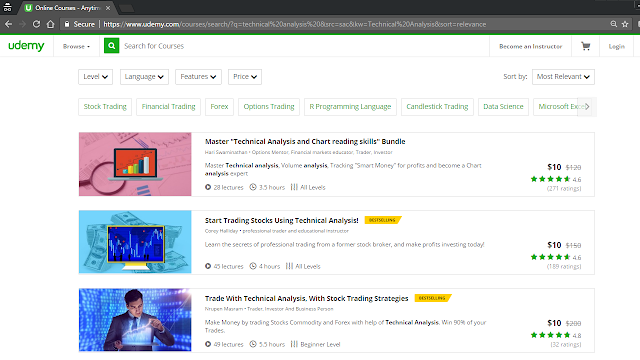 By the way this month my course "Trade With Technical Analysis" became Second Best Seller on Udemy and Rated Number 1 on basis of customer reviews in Technical Analysis Category. Right now busy, so there is no video but I'll upload video as soon as I get time.